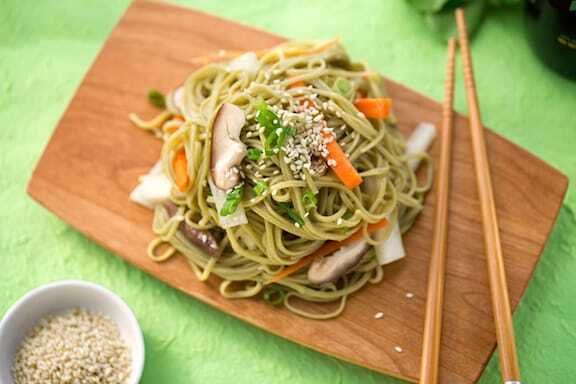 Spaghetti-shaped somen noodles are traditionally eaten cold in Japan during summer months, but you can substitute any kind of soba noodles or whole grain linguine. Peppery daikon radish and mellow carrots work beautifully with the noodles in this simple dish. Photos by Hannah Kaminsky. 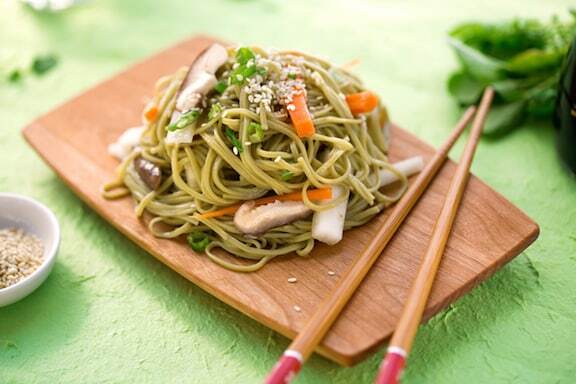 Spaghetti-shaped somen noodles are traditionally eaten cold in Japan during summer months, but you can substitute any kind of soba noodles or whole grain linguine. Cook the noodles in plenty of rapidly simmering water until al dente. Just before they're done, plunge the mushrooms into the water. Drain and rinse under cool water, then drain well again. Combine the noodles in a serving bowl with the remaining ingredients. Taste and adjust flavorings to your liking. Top with extra scallions and sesame seeds. Serve warm or cover and chill before serving. 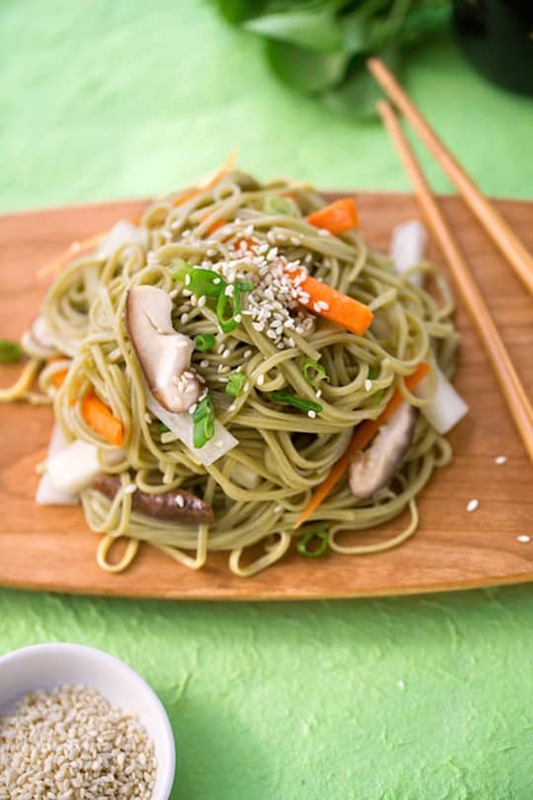 Here are more Asian-style cold noodle dishes.